No Child Left Inside ActÂ -Â Filed in 2009, the NCLI billÂ has been reintroduced in subsequent yearsÂ up toÂ 2012. The new 113th Congress was seated in January 2013, and the NCLI bill has not yet been reintroduced. NCLI would expand environmental education in schools andÂ incentivize teachers and students to include the outdoors for experiential learning. Original bill sponsor Rep. John Sarbanes (D-Maryland) is planning to reintroduce NCLI in 2013, but wants a Republican member of Congress to be a co-sponsor toÂ demonstrate bipartisan support.Â The NCLI Act would amend the Elementary and Secondary Eduction Act, but to date there has been no movement in Congress to reauthorize the ESEA. 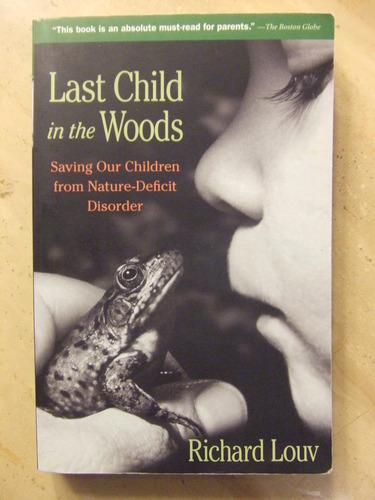 Education reform uncertainty notwithstanding, it is important that advocates reach out to Ohio’s congressional delegation to let them know how important NCLI is to expanding environmental education and getting kids outdoors to interact with nature. Healthy Kids Outdoors ActÂ -Â Introduced in the House and Senate in 2010,Â HKOA provides state-level incentives to develop five year state strategies to connect children, youth and families with the natural world. State strategies are developed by agencies and partners in public health, parks and recreation, transportation, and other sectors to create innovative solutions and fund initiatives at the local level. The original bill sponsors, Rep. Ron Kind (D-Wisconsin) and Senator Mark Udall (D-Colorado), are committed to the goals of HKOA, and plan to reintroduce bills at such time that they garner bi-partisan support. Rep. Marcia Fudge (D-Cleveland) is a supporter of HKOA because theÂ legislation addresses childhood obesity, an issueÂ the congresswoman has championed since she was elected to Congress. Eventually the No Child Left Inside Act and the Healthy Kids Outdoors Act will have their day in Congress. It is important to remain vigilant and proactive in advocating for these bills during these seemingly endless days of gridlock and inactivity in the 113th Congress.